Low iron in the bloodstream can lead to a variety of problems, including iron deficiency anemia. 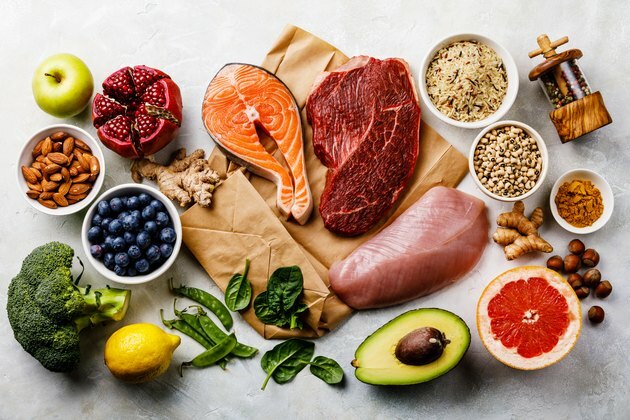 As noted by the World Health Organization, anemia is on of the world's leading nutritional deficiencies, affecting more than 30 percent of the world's population. 50 percent of all anemias are due to iron deficiency. Fortunately, low iron levels can usually be reversed with careful medical attention. Dietary sources of iron come in two forms. Heme iron occurs in animal products like red meat, liver, fish and poultry. Heme iron is the most easily absorbed type of iron, although it is much less common than non-heme iron, which is present in beans, lentils, spinach, tofu and raisins. Non-heme iron is also added to fortified foods like cereals, breads and oatmeal. Vitamin C improves the absorption of non-heme iron, whereas calcium, polyphenols, tannins and phytates can decrease absorption rates. For this reason, you should always eat foods that contain non-heme iron with foods that are high in vitamin C, like citrus fruits, bell peppers and Brussels sprouts. If dietary changes are unable to bring iron levels back to normal, your doctor might recommend iron supplementation. Supplements are available in tablet and liquid form. The most frequent form of iron used in supplements is ferrous iron salts, which include ferrous fumarate, ferrous sulfate and ferrous gluconate. Ferrous fumarate is the most readily absorbed type of iron supplements, although ferrous sulfate is the most commonly used. Iron in supplements is best absorbed when taken two or three times over the course of the day with foods containing vitamin C. Contact your physician before taking iron supplements, as iron overload in the blood can lead to organ damage. In rare cases of iron deficiency that are not alleviated by dietary changes and supplementation, doctors may recommend iron injections. Shots must always be administered by a trained professional in a medical setting, such as a hospital or doctor's office. Potential side effects include anaphylaxis, a serious and sometimes life-threatening allergic reaction, as well as nausea, dizziness, fainting and low blood pressure. Iron shots are commonly used for patients who take erythropoiesis-stimulating agents (ESAs), which boost blood cell production and therefore increase iron needs. Although increased dietary intake is usually safe and free of side effects, iron supplements can cause undesirable side effects, like a metallic taste in the mouth, nausea, vomiting, headache or rash. Always consult your doctor to determine the best way to increase your iron levels and decrease the chances of negative effects. Some conditions, like burns, dialysis, intestinal diseases, bleeding disorders and stomach removal, may put you at increased risk for iron deficiency. Pregnant women and infants who are exclusively breastfed are also at increased risk for iron deficiency.